211 Bernard: Put this one in your calendar, friends! Put this one in your calendar, friends! Heads up Montreal! 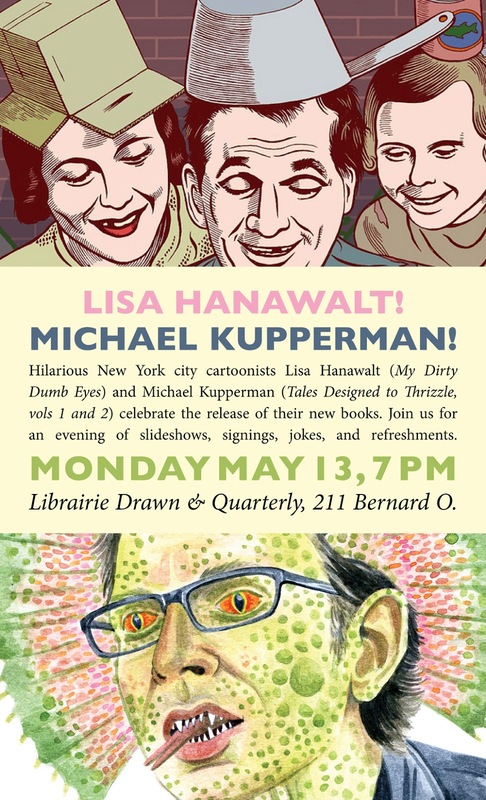 In just under two weeks, we'll be visited by two of the funniest people in comics: Lisa Hanawalt & Michael Kupperman! Monday May 13, 7 pm chez 211 Bernard O. This is gonna be a good one, y'all!